Supporting education around the country is easier than ever thanks to Donors Choose, which focuses on getting resources directly into the hands of K through 12 public school teachers and students. Whether you're an education professional looking for help funding a project or a charitable donor looking for a good cause, this nonprofit makes the process simple. A Bronx history teacher, Charles Best, founded the website in 2000. He wanted to find a way to connect public school teachers who need classroom materials and supplies not covered by their budgets with donors who want to be confident that their gifts actually reach the classroom. Donors Choose reports that what started with eleven teacher projects has grown over two decades into funding for more than 600,000 projects and over 600 million dollars donated. Public school teachers who need resources to provide quality instruction to their students can utilize the Donors Choose website as a resource to seek direct support for their classrooms. The process of seeking funding through Donors Choose is much less complex than writing typical grant requests. Teachers can request support for projects of all sizes, ranging from a few dollars to thousands of dollars. The primary requirement is that the teachers' requests are for resources that will directly benefit students in K through 12 public school classrooms within the United States. To request support through the program, teachers must start by submitting a proposal at the charitable organization's website. All you need to do to apply is write a short essay and provide a detailed list of the items needed. The application takes about a half an hour to complete. Once applications are received, they are reviewed by volunteers who determine whether each request meet's the eligibility requirements for the program. Additionally, the volunteers screen requests to make certain they don't promote any type of discrimination, religious beliefs, or particular political perspective. Reviews typically only take about three days. Once a proposal is accepted, the project is published on the organization's website where prospective donors can browse available opportunities and select projects to receive their donations. Each teacher chooses how long to keep the project open with a cap of four months. There is no guarantee that funding will be provided for every proposal accepted. If your project is fully funded, Donors Choose will send your new materials within about three weeks, and you'll be asked to provide photos and thank you notes for donors. If you're interested in giving to a Donors Choose project, choose the search projects link on the website. This allows you to view all the current funding requests. You'll be able to see the essays submitted by requesting teachers along with the donation amount needed to fulfill the request. You can search funding requests using different criteria, making it easy for you to identify the types of projects you prefer to support. Once you find a project you're interested in supporting, you create an account and make your donation directly through the website. Donation amounts can start as low as one dollar, but gifts under 500 dollars can only be paid via credit card, PayPal, or Amazon Payments. You can even purchase gift cards for your friends and family members for special occasions. You select the denomination, and the recipients get to choose the projects they wish to support. There's no doubt teachers across the nation struggle to provide resources and learning opportunities to all children largely because of budget constraints. 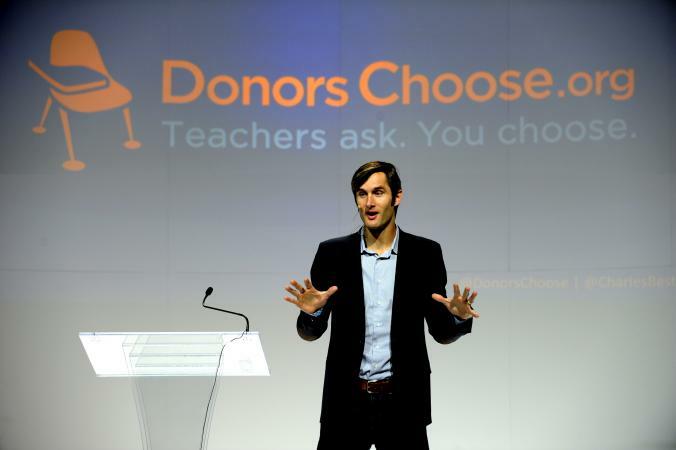 Donors Choose helps connect individuals and communities with teachers so their requests for support can be fulfilled.